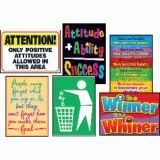 BOOK SET CHARACTER EDUCATION VAR. 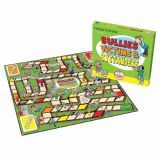 An excellent game designed to raise a child's awareness of bullying. Every incident card has been weighted based on the severity of the bullying so that children can see how harmful this behavior is. Children are encouraged to model good behavior on how to overcome bullying. Contains game board, 54 playing cards, 6 pawns, and a die.